Born: October 15, 1833 in Sandwich Ma. 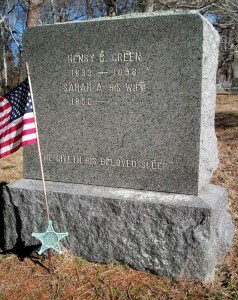 Died: May 30, 1898 in Bourne Ma. at 64 yrs, 7 mos, 15 d.
To: Sarah Ann Fowler Raymond; (1830 – 1912) (Phillip G. Fowler & Olive Tuttle); Sarah married (1) Sylvanus Harlow Raymond (1830 – 1875) (Ebenezer Raymond, Jr. & Catherine Adams) in Sandwich Ma. 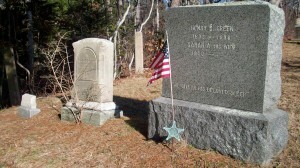 on December 22, 1853.